WASHINGTON, DC--(Marketwired - November 07, 2016) - Yesterday, in a clear show of the growing international support for Moroccan sovereignty in the Western Sahara as well as the success of the country's African foreign policy, Morocco's King Mohammed VI delivered his annual speech marking the anniversary of the Green March -- when some 350,000 Moroccan citizens peacefully reclaimed the territory from Spanish colonizers in 1975 -- from Dakar, Senegal. It was the first time a Moroccan King had celebrated the anniversary outside of Morocco and came just two months after the country officially applied to rejoin the African Union (AU). "Today I am addressing you, on the occasion of the 41st anniversary of the Green March, from Dakar, the capital city of the sister nation Senegal, and I know that this move will not surprise you," said the King, explaining that "This beloved country has always been at the forefront of advocates of the Kingdom's territorial unity and lofty interests." 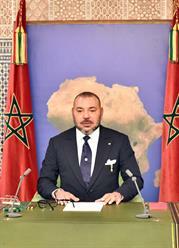 While the King acknowledged that Morocco's return to the AU will "enable us to defend our legitimate rights" on the Moroccan Sahara, he described the territory's "potential, in terms of security, stability and infrastructure, to become an integrated development hub… as well as a platform for economic cooperation between Morocco and Africa" as just one of many reasons why Morocco's "returning to its natural place" would benefit the continent. "As far as the continent's major issues and problems are concerned, the return of my country to its institutional family will enable Morocco to help make the voice of Africa heard in international forums," he said. He noted as an example that "I have made sure that the Climate Conference which opens in Marrakech this week, is a conference for Africa. Accordingly, I have called for an African summit to be held on the sidelines of this conference in order to develop a common vision to uphold our continent's demands, particularly in terms of funding and transfer of technology." The King also spoke of Morocco's ability to "further contribute to consolidating security and stability in the various war zones and hotspots and to finding peaceful solutions to conflicts." Rejoining the AU, he explained, "will enable Morocco to become more involved in the continent's efforts to fight extremism and terrorism, which compromise the future of Africa." It would also, he continued, be "the culmination of our African policy and the outcome of Morocco's solidarity-based field action in a number of African countries, in terms of economic and human development aimed at serving African citizens." 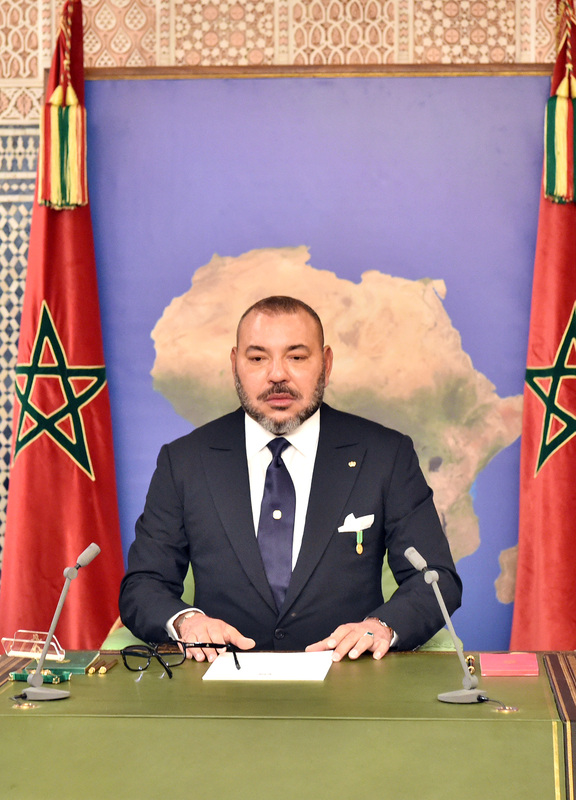 To this end, the King urged Morocco's newly elected Parliament -- which is in the process of negotiating a governing coalition -- to "adopt a comprehensive, integrated policy towards Africa and deal with the continent as one bloc." "A government should have a clear program and well-defined priorities, both for home and foreign affairs, particularly as far as Africa is concerned. The government should have the ability to deal with the difficulties inherited from past years, with respect to Morocco's obligations towards its partners." Since ascending the throne in 1999, King Mohammed VI has made Africa a foreign policy priority, visiting 35 African countries and signing more than 320 bilateral agreements, most recently in Rwanda and Tanzania. Beyond his many trips, in late 2013 the King established a program to train imams from across the continent. In March 2015 in Rabat, he formally opened the Mohammed VI Institute for the Training of Imams, Morchidines, and Morchidates, which has already welcomed students from Mali, Tunisia, and France, among other countries. In April 2015, Morocco signed a memorandum of understanding with the Millennium Challenge Corporation "with the goal of reducing poverty in Africa, including a focus on promoting adoption of new technologies and innovative business models to promote entrepreneurship." Some thirty countries have already voiced their support for Morocco's AU bid, including Benin, Gabon, Liberia, Senegal, Egypt, and Ghana, to name just a few. On November 6, 2016, Morocco's King Mohammed VI delivered his annual speech marking the anniversary of the Green March from Dakar, Senegal.